I hope you all had a fabulous weekend and are having a great start to your week. This past weekend was full of work and lots of relaxation which was definitely needed. I have been undergoing a lot of stresses in different areas of my life which has been making it hard to focus on the aspects of my life that are truly important. But, this week I am already feeling a rise in my mood and I am in a motivation kick. I have had a lot that I have been working on as far as new content, internships, and school so feeling motivated to work on it all has really been a blessing! I have been working really hard lately to build up my brand image on all my platforms which have been stressful but I am working to try and gain more readers and start a community of people who are interested in reading or following my platforms. I was thinking a lot about motivation this week and becoming the best version of myself that I can be. 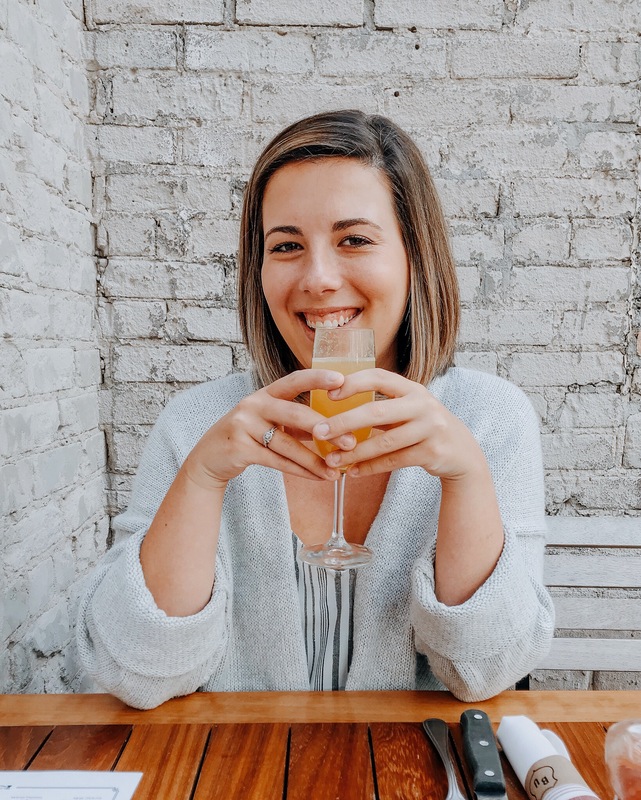 I know I talk A LOT about GIRLBOSS tips, but this week I wanted to touch on becoming a kickass GIRLBOSS (or BOYBOSS) and how you can live your best life today! You can take anything that you love to do and turn it into something big. There are so many people who take the smallest hobby and are able to turn it into a business for themselves or at least have a small business on the side. For me, I have always loved to write so blogging for all of you has truly brought me so much joy and opportunity which makes me excited to see what the future has in store. If you love cutting hair, writing or designing new styles then find that niche and put everything you have into it and maybe someday it will turn into something great! If you are going to get anywhere in life then having the support of your friends and family is going to make a difference. I have always had the most support coming from my friends and family which has pushed me to try and excel in many areas of my life. Surround yourself with people who will be there for you through thick and thin because, in the end, it will help you face those setbacks and move forward to greater things! There will always be something or someone that is holding you back from achieving the greatness that you want. People are going to give your opinions that may not be what you want to hear, but you should NEVER let others opinions stop you from doing what you want. Instead of quitting when someone says or does something rude, use that barrier as a way to make yourself better and propel yourself forward! Having goals are an essential piece because they keep your mind focused on what you are really trying to achieve. In any aspect of your life having goals makes it easy for you to track your progress of where you want to be at what time in your life. If you are crystal clear about what you want, then I believe that your mind will tune into it and BAM it’s happening! Once you have found a niche and you know exactly what you want to share with people, then focus on that specific audience who will like what you are doing. Knowing what your audience likes is key to having them even care as to what you are promoting! Everything takes time. You will not see success overnight so don’t get discouraged. Something that I have had trouble with is my patience with my blog and why it’s taking so long for any traffic to come to my page. I just have to keep reminding myself that everything takes time and I can’t expect everything to just magically happen until I put in the work to do so. So don’t get discouraged because everything will work out the way that it is supposed to! I hope this post gives everyone that little push of motivation and courage to make their dreams reality. Now, I have some exciting news to share… I AM STARTING A VLOG! I am super excited (and a little nervous) to start a vlog, but I am really pumped to share content with all of you not just through my writing but through video. I am planning out everything the next few months so that the vlog will “launch” this summer. I hope you are all as excited as I am! I hope you all have an amazing rest of your week and I can’t wait to talk to you all again real soon. New to the blogging world! I hope you enjoy my take on everything from a college student perspective! Hannah! Such a motivational post!! Love it! Hey there everyone, I’m Hannah! I was born and raised on the East side of Michigan and am currently residing on the West side of the state! I am 21 years young, a senior at Grand Valley State University (Go Lakers!) & a Advertising and Marketing student. I am a photographer, shopping nut, and avid coffee enthusiast! I want to live life to the fullest and never take a single day of my life for granted. I would love to travel more one day, but as of now you can find me cozy in my apartment with a good cup of coffee (or tea) binging my favorite Netflix shows.